The 21st Century Burial of a 15th Century King. This evening I’ve been watching the committal of Richard III’s grave to Leicester Cathedral from the University and the “funeral” ceremony in the cathedral. It’s mind-boggling to think that I’m watching the funeral of a medieval king whose life, actions and legacy I have studied at length in both history and literature, more than 500 years after his death. Despite the heated and lively historical debate over whether or not he was responsible for the disappearance of his two nephews, the sons of Edward IV known as ‘the princes in the tower’, and the hideous portrayal of Richard by Tudor historians and, in turn, Shakespeare’s famous play, his reign was characterised by many things that recommend him. It’s most likely that the significant question of the fate of those young boys will never be answered. Richard was by no means the only person with both a motive and the means to do away with them, and there are some very good arguments as to why he would not have taken such an opportunity, not the least being the risk of losing his integrity and the loyalty and love of the English people. I find it bizarre that the British royals, who are descended from his sister, have only sent a token representative in the Queen’s daughter-in-law, Sophie, Countess of Wessex. Richard was, after all, a King of England. He was the last King of England to die in battle, defending his throne and his country. The Queen’s cousin, Richard, Duke of Gloucester was also present, He bears the same name and title that Richard III held before his accession to the throne, and is the royal patron of the Richard III Society. 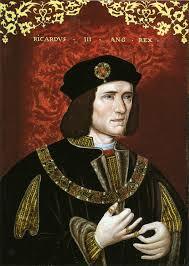 I am pleased to see Richard III’s physical remains being treated with dignity and respect. I’m delighted to be able to be a witness to his reburial via the wonders of historical and scientific research and the internet. It’s also great to see that the result of the discovery of Richard’s remains buried under a car park in Leicester, in what used to be the choir of the Greyfriar’s church, is an increased interest in the history of his reign and of England at the time.